The coastal paradise of Noosa houses the renowned Noosa National Park; 4000 hectares of land that contains a lake, rainforest and several walking tracks. Come up to the Noosa National Park where you will get some of the best views of the Sunshine Coast from its stunning lookouts and viewing platforms. 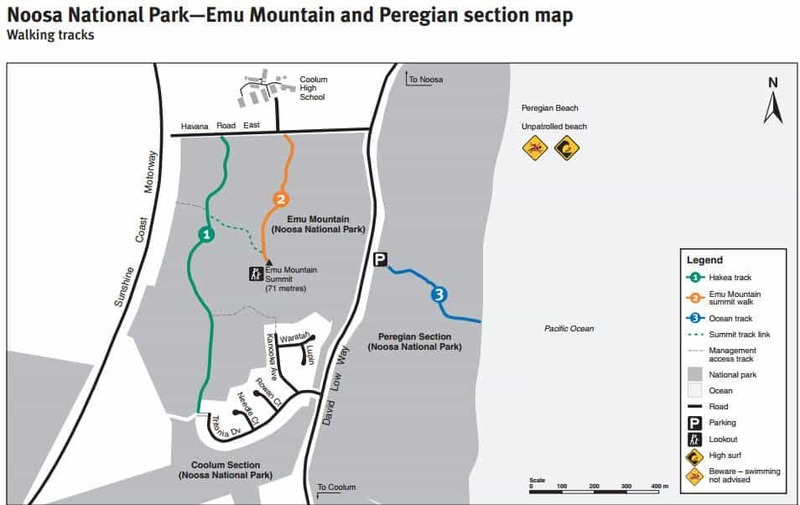 The Noosa National Park features spectacular coastal scenery and provides an important refuge for native wildlife including the koala, glossy black-cockatoo, ground parrot and wallum froglet. Camping is not permitted in the park, but visitors are encouraged to take some of the many walks that are located within the park. There are several easy and moderate walks through the park, but visitors should note that bikes, scooters, skateboards and roller blades are not permitted within the park. 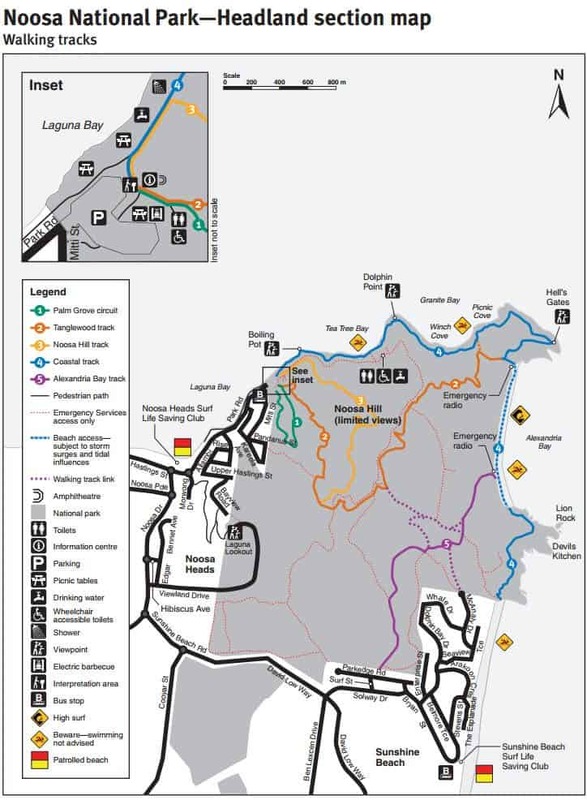 See the images below for a map of the walking tracks located here. You will see a variety of wildlife during your time in the park including lace monitors, honeyeaters and koalas. If you visit the park between June and November, look out over the ocean and you may catch a glimpse of humpback as they cruise past the coastline on their way to and from northern breeding grounds. If you are looking for accommodation near Noosa National Park, click on the link below to find the best deals.